5w x 5d x 10.5 tall. 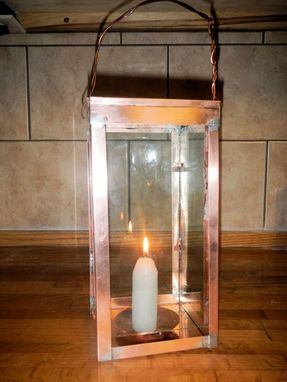 Simple country candle lantern. One side opens for easy access to candle. Hand hammered dish for candle to contain wax. Can accept various candles. Bail on top allows it to be carried from place to place.